The new ride up at Cultus Lake this year is called the ribbit. It had giant frogs that kids ride in as they bounce around in a circle. 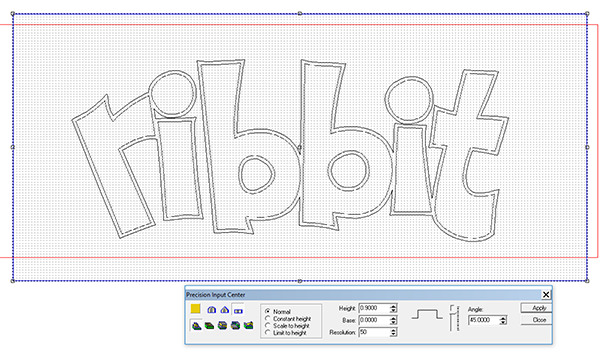 To create the sign I started with a quick sketch of the casual styled lettering. 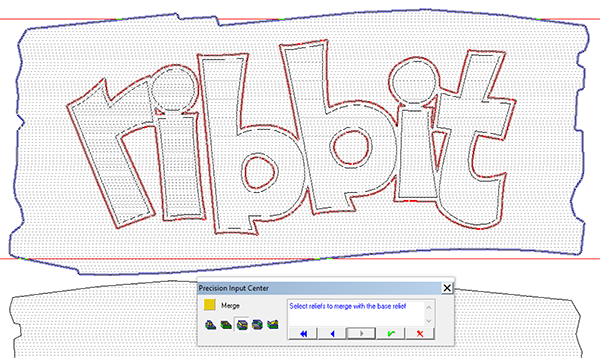 I vectorized the lettering by hand tracing it in PhotoShop. These vectors were imported into Enroute. 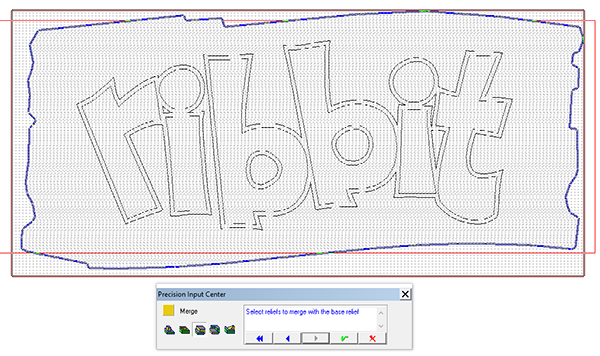 I created a rectangle around the lettering which was slightly bigger than the final size of the sign we would create. 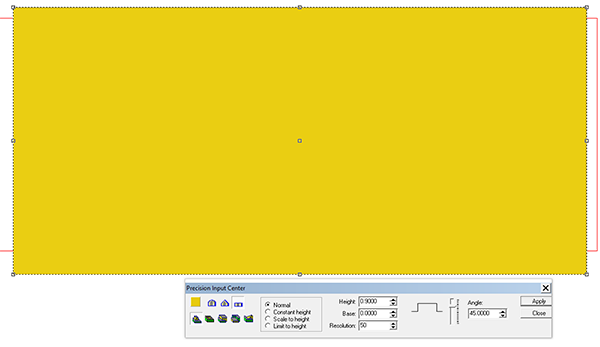 I created a flat ref with the rectangle. 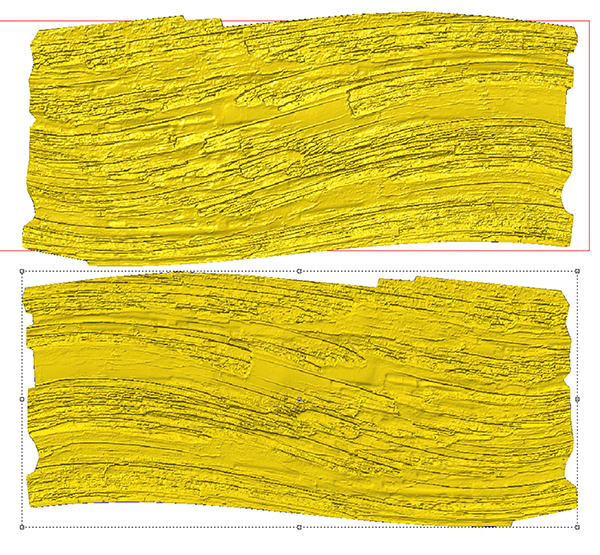 I then used a bitmap from the Woodgrain texture collection to create the woodgrain. 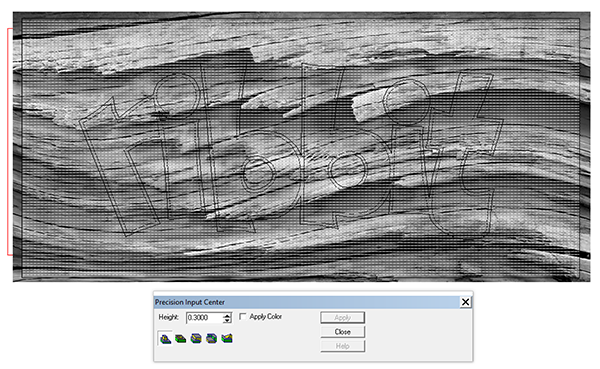 Once the relief had woodgrain I rendered the relief and then used this image to create the final shape of the board so it followed the woodgrain and looked broken on the ends. I used these new vectors to create a zero height relief. I then merged highest, first selecting the ragged edged relief and followed by the first rectangular relief. This in effect cut the board to the new shape. I then duplicated the relief to make an identical board for the back side of the sign. 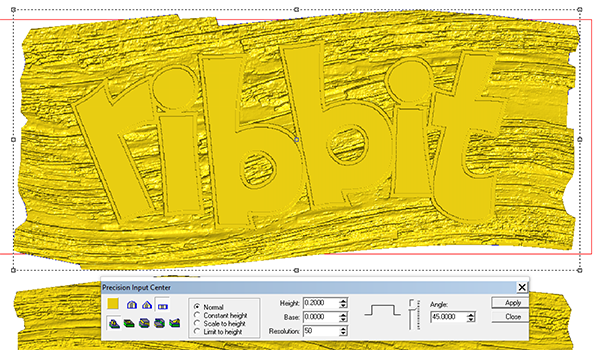 I then created a new relief using the lettering border vectors. These were then merged highest with the board background relief. 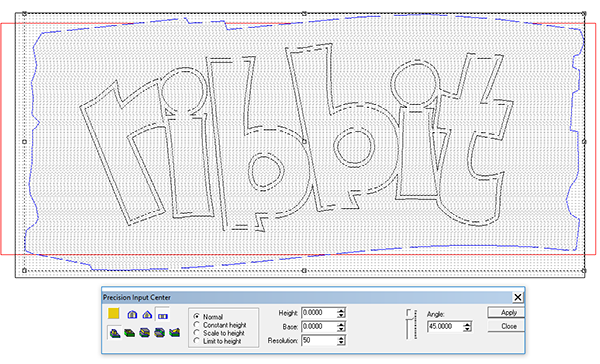 The last step was to modify the relief by adding the lettering. I then duplicated the front relief and deleted the reliefs leaving only the outline vector. I built a vector rectangle which was slightly larger than the structural steel I would laminate into the centre of the sign. I used the jigsaw tool to subtract this shape from the sign. 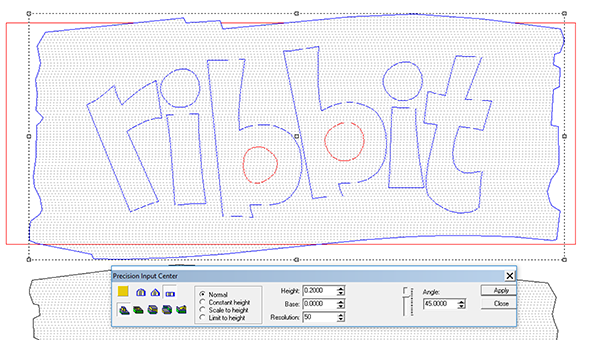 This new vector was used to cut out the centre piece for the sign.